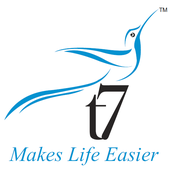 About me Founder CEO @ T7 Wealth Creators Pvt Ltd where we try to help you make money by trading in recognized stock exchanges. Signals are generated using a proprietary indicator developed by me using Tradingview Pine Script ( and ). My posts here are delayed. To get real time updates take subscription for TrendShikariNTS. Signals are generated using a proprietary indicator developed by me using Tradingview Pine Script ( and ). My posts here are delayed. To get real time updates take subscription for TrendShikari NTS. Signals are generated using a proprietary indicator developed by me using Tradingview Pine Script ( and ).